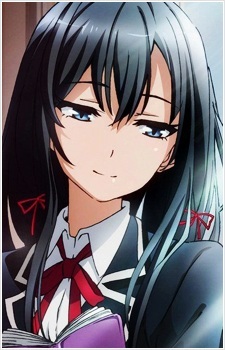 Yukino is the leader of the Service Club, of which she is the sole member until Hachiman joins her. She is smart, beautiful, and is nicknamed the "Ice-cold Beauty" for her icy demeanor. She has a twisted sense of "noblesse oblige," and believes that it is the duty of the exceptional (in other words, herself) to help the "lost lambs" of the world. Her personality often leads her to be disgusted at the naivety of others, particularly Yui's, and she does not hesitate to show it. Despite this, Yui still affectionately calls her "Yukinon." It was later revealed that her father is a member of the "Diet" or a legislator in Japan's parliament. Yukino was in the car that hit Hachiman. Great for a good laugh, a rainy day or cozying up to with a tub of ice cream; these are the top 12 romantic comedy anime of all time! Who needs colorful hair colors when you're already awesome? These set of girls will prove that black is still more beautiful. From assassins to giant killers, here are the Top 20 Anime Girls with Black Hair!